Incredible! Scientists Have Finally Found A Way To Make Coyotes Wider, Smaller, Heavier, More Slippery, And Quieter! Here’s some news from the scientific world guaranteed to make waves. 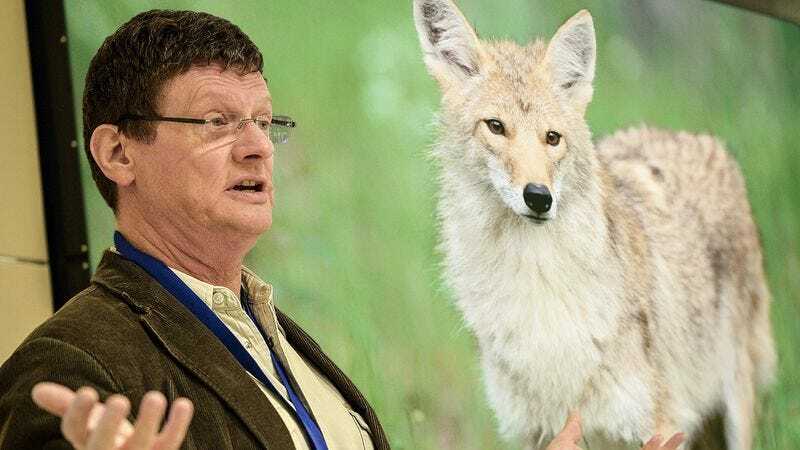 After a decade of dead ends and false starts, a team of geneticists at Stanford University announced this morning that they finally discovered a reliable way to make coyotes wider, smaller, heavier, more slippery, and quieter. Working with modified eggs, fertilized in vitro and gestated in a host mother, Dr. Shah and her team were able to breed a healthy litter of the modified coyotes, six in total. Shah’s team will be tracking the growth and behavior of the coyotes closely to ensure that they continue to widen, grow more heavy and slippery, and stay small, glossy, bitter, orange, and soft into full adulthood, but so far, all signs point to success. But even with this incredible breakthrough under her belt, Dr. Shah is already looking ahead. Simply awesome. It just goes to show that when technology, ingenuity, and inspiration come together, truly incredible things can happen. What do you think? Are you excited to find out what comes next? And how cool would it be to see one of these coyotes in your own backyard? Tweet/Facebook us to let us know!